A black Oregon lawmaker says one of her constituents called police as she canvassed a Portland-area neighborhood that she represents. 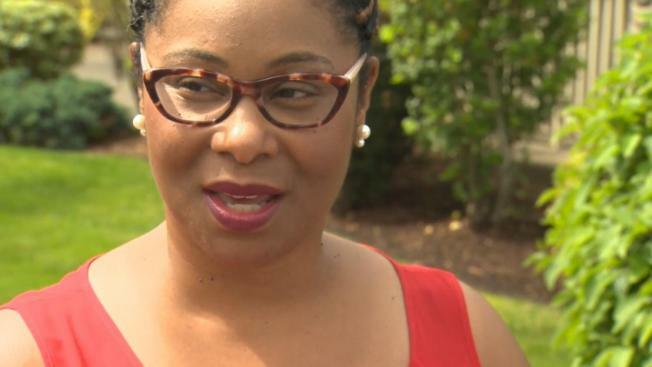 State Rep. Janelle Bynum, who is running for re-election this fall, said she was knocking on doors, talking to residents and taking notes on her cellphone in Clackamas on Tuesday when a Clackamas County sheriff's deputy showed up. Bynum said the deputy told her a woman called police because the lawmaker appeared to spend a long time at homes and appeared to be casing the neighborhood while on her phone, The Oregonian/OregonLive reported. The deputy asked if she was selling something, and she introduced herself as a state legislator and told him she was canvassing, Bynum said. She said she only had campaign fliers, her cellphone and a pen on her. Bynum, 43, who won election to the state House in 2016, said she has knocked on thousands of doors and this was the first time someone reported her to police. "It boils down to people not knowing their neighbors and people having a sense of fear in their neighborhoods, which is kind of my job to help eradicate," Bynum told the newspaper. "But at the end of the day, it's important for people to feel like they can talk to each other to help minimize misunderstandings," she said. The sheriff's office did not immediately respond to a request for comment on the incident. Bynum said the deputy was courteous and professional and later posed for a selfie with her. Bynum said that at her request, the deputy called the woman who reported her and they talked on the phone. The lawmaker said the woman was apologetic and said she called 911 for the safety of her neighborhood. Bynum did not know the caller's race. The lawmaker said she understood the woman's concerns but felt the woman could have tried talking to her first rather than calling police.